Kenya has been through a lot. When we talk about Kenyan nationalism we immediately have to talk about the Mau Mau movement, which has very interesting History.The movement has existed for more than 40 years, from 1963 to 2003. This movement was born as a nationalist rebellion from the British colonization. The movement was born in 1951 as a secret society, believed to have been started in the previous year, requires its members to take an oath to drive the white man from Kenya. Intelligence suggests that membership of the Mau Mau is currently restricted to members of the Kikuyu tribe, many of whom have been arrested during burglaries in Nairobi’s white suburbs. Shortly after his leader, Jomo Kenyatta was arrested. He was a president of the Kenya African Union and the country’s leading nationalist leader is charged with managing the Mau Mau terrorist society in Kenya. He is flown to a remote district station, Kapenguria, which reportedly has no telephone or rail communications with the rest of Kenya, and is being held there incommunicado. 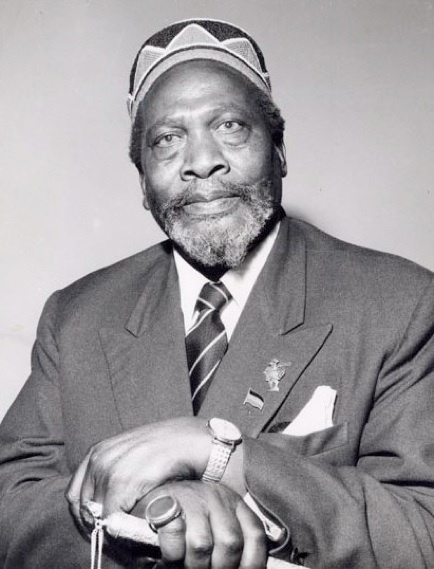 Jomo Kenyatta is known also as The Burning Spear. The next ten years to 1963 had been hard for the Mau Mau movement, with a lot of murdered activist its and tries to rebel. But Eventually Jono Kenyatta , become a prime minister in the first elections in May , 1963 and in December the same year , Kenya became the 34th African State to gain independence. After one year Kenya became a republic and Kenyatta , its president. For now historically it seems like Mau Mau is the nationalistic movement that has the power in Kenya, but time has shown different perspective for it. After more than 50 years of active rebellion the movement Mau Mau , has been abounded in 2003 and this is the end of this nationalistic movement. How Kenyan nationalism is connected with the problem of Euro centrism, which Zachariya raises? When we talk about Nationalism in Kenya we have to face the fact that Africa was colonized by European powers. One of the biggest issues with this colonization is the euro centrism that has been faced. African culture, history, way of thinking and life are way different from this of the Western World and Europe. But during the colonization no one was thinking that you cannot have Western ay of politics and life, in a country, like Kenya. Because the basic philosophy and viewpoint of the people sis totally different from those in Europe. Euro centrism, as discussed by Zakariya , is mainly viewing the world and the political system through the perspective of your culture and reality. The European way of thinking didn’t work for long in Kenya. In This Quote by Jomo, Kenyatta we can see that the difference between African perspective on way of life and these of the European countries were in conflict. The difference of African culture and viewpoint of the world and these of the Western world are basic in his book – “Facing Mount Kenya. Euro centrism is basically judging and not understanding other cultures the way they are , but the way they are measured from your own reality and cultural believes. The misunderstanding of one culture to another is obvious because in order to understand something you have to look it pure, without the bias of your own understanding of life. Kenya’s biggest concern right now is the upcoming elections, on March 4th. As Human Right watch alerts there is big chance of violence on this year elections, mainly because the last elections in 2008 were connected with a lot of violence and many people lost their lives. And the problems with the Human rights with the tension about this year elections has already begun. The Kenyan government has discriminated based on ethnicity in assisting displaced people from the Rift Valley. The discriminatory practices are stoking inter-ethnic tensions ahead of the March 2013 elections. This happened just before one month. The problem is coming mainly for two tribes – Kikuyu and Kalenjin. The one are placed in Nakura and the other one in Uasin Gishu.Members of the one says that the governments is giving more power to the other community which leads to tenses and violence. The discrimination in Nakuru and Uasin Gishu counties takes two general forms. First, the government has given priority to displaced Kikuyu when rebuilding homes and providing new homes, land, or money. Some Kikuyu families have received more than one new home. Second, the vast majority of Kalenjin displaced in the 2007-2008 violence, roughly 300,000 people across Kenya, have not been officially registered by the Ministry for Special Programs, which has responsibility for internally displaced people, or received any government support, Human Rights Watch research indicates. The fact that some people don’t have equal rights as others is very sad and is absolutely against all the human rights, because people should be treat equal. Kenya is well developing country and how well are developed its human rights- the world will see on March 4th , the day of the elections and few weeks after that.